Assist companies to assess, adopt and execute strategies for business growth, expansion and adaptation. Provide thought leadership in enterprise finance, investment, public-private partnerships (PPP) and diaspora engagement. Conduct research on topics relevant to business growth in specific sectors, countries and regions. Advise diaspora groups and individual business owners on investment strategies, access to capital and resources for support. 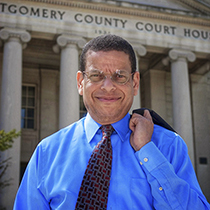 Jeffrey Jackson recently served as Senior Private Sector Advisor in the Africa Bureau of the U.S. Agency for International Development (USAID), where he had responsibility for the broad areas of trade, investment, enterprise development and finance. Earlier in his career, Mr. Jackson held positions at the International Monetary Fund, U.S. Treasury Office of International Affairs, and the US Congress Committee on Budget. For most of the past twenty-five years, he has lived and worked throughout eastern and southern Africa in various positions that involved advising government departments and agencies on private sector-led economic growth strategies. He participated in the design, development and implementation of new financial products. With the Deloitte & Touche Emerging Markets Group and PGi LLC, Mr. Jackson served as corporate finance advisor and assisted client firms in capital raising, mergers and acquisitions. At USAID, he managed a diverse portfolio of activities including the African Diaspora Marketplace, the multi-donor partnership for Making Finance Work for Africa (MFW4A) and the AGOA Forum. Mr. Jackson served on the Credit Review Board, which reviews and approves all USAID credit guarantees. 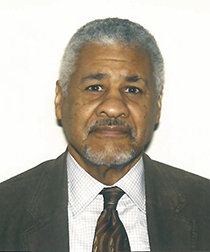 In the academic area, Mr. Jackson was Adjunct Assistant Professor of Economics at the University of the District of Columbia in Washington, D.C. He has been a lecturer at other universities, including the University of the Witswatersrand (Wits) and the UNISA Graduate School of Business Leadership in South Africa. Mr. Jackson currently serves as an Adjunct Assistant Professor at the GWU Elliott School of International Affairs. Studies (1975) where his focus areas were Economics, African Studies and International Law. Additional Studies were undertaken at Oxford University and the UDC Graduate School of Business. 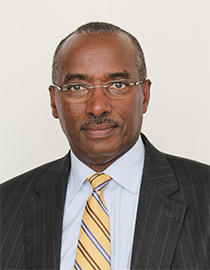 George W. Rubagumya is the Executive Director of Liaison Financial Services Group (“Liaison”), with its head office in Nairobi, Kenya, and operating subsidiaries in Tanzania, Uganda, Rwanda and South Sudan. Liaison provides a suite of financial services that include establishment and management of voluntary pension schemes and provision of administration and fund management services for the pension schemes; promotion of sustainable development financing through Africa’s capital markets; and project finance advisory services. Mr. Rubagumya has successful promoted the introduction of the Asset-Backed Securities Industry on Africa’s Capital Markets, with the backing of Bilateral and International Development Partners, focused on introduction of Municipal Bonds, REITS, and the full range of Asset Backed Securities for the Real Estate, Energy, and Corporate Finance Sectors. He is a Co-Founder of Institute of Development Technology (“IDT”), a Public Private Partnership with the Government of South Sudan, through the University of Juba, which was created in 2012 to serve as the Innovation Center for South Sudan. Mr. Rubagumya previously served as Senior Legal and Economic Advisor/Director for Africa for AECOM International, a subsidiary of AECOM Technology Corporation, the world’s leading architectural and engineering design firm, where he served as Reconstruction Advisor to the Government of Southern Sudan from 2005 through 2009. Prior to that, he was engaged in private practice of law in Washington DC and Austin, Texas. He served as the first Executive Director of the Uganda Investment Authority in the 1990s, which was among the pioneer Investment Promotion Agencies in Africa. Early in his legal career, Mr. Rubagumya served as Assistant Attorney General of Texas, responsible for Highway Construction and Natural Resources management. an LLM in International Development Law from the London School of Economics; and Advanced Diploma in International Law from The Hague Academy of International Law. 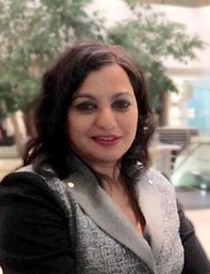 Karuna Naidu is a corporate governance consultant within the SME, Public and Private Sectors. She is an experienced strategist and risk advisor and manages her consultancy services through Corporate Governance & Leadership Solutions – (CGLS). She holds a Master’s Degree in Corporate Governance from De Montfort University, UK. Her current affiliations and memberships are with the Institute of Directors and the Ethics Institute S.A. She is currently finalizing her professional certification as a Chartered Director. A notable achievement in her career includes one that had brought major dividends to a foreign subsidiary in South Africa. As the Head of Finance, reporting to the International Governing Board, she had detected fraud within the South African subsidiary and was responsible for managing a claim of negligence against a major commercial bank. The case not only brought dividends to the company but further resulted in the bank reviewing and effecting changes in its national policies. Her portfolio includes the Development Bank of Southern Africa (DBSA), IMPLATS Group subsidiaries Tubatsi Platinum and Marula Chrome, Vijay Mining India and Ndiza Women Empowerment. She has also spent several years in early 90’s in the Healthcare Industry, being responsible for Investor Fund Portfolio Management. She has participated in several South African trade and business delegations that include the U.K, the U.S.A, India and the Rep. of China. Karuna is an experienced intellectual and professional whose passion and contribution is in finding sustainable solutions today, for companies tomorrow. Jennifer Rimbach is a mission-driven multilingual international development practitioner with significant overseas experience in Sub-Saharan Africa, Asia Pacific, and Latin America and the Caribbean across donor agencies and public and private sectors. Since 2015, Jennifer has been supporting the U.S. Government in identifying commercial lending sources and alternative sources of capital for U.S. firms that are minority-owned as an Access to Capital business development specialist. Her diverse team is responsible for facilitating over USD$6 billion annually in finance and contract transactions. Prior to 2015, Jennifer has a proven track record in private sector development with the most notable accomplishments being with the Philippines Department of Social Welfare and Development from 2010 to 2012. During her tenure in the Philippines with the U.S. Peace Corps, she managed foreign direct investment and operations for a transportation startup company to meet the country’s demands stemming from increased tourism. Jennifer also applied for and received foreign aid for a water and sanitation project she designed, monitored, and evaluated to improve the potable water supply for a village of approximately 200 indigenous peoples. 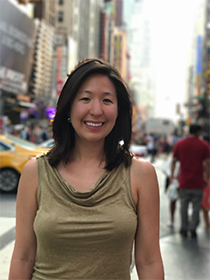 Jennifer is passionate about bringing her unique skillset and expertise in small- and medium-size (SME) financing, remittances, and applied data analytics. She is committed to leveraging her global network of investors and government officials to addressing pressing challenges especially in the areas of water and sanitation, SME development, and access to capital (i.e. credit guarantees). She brings an innovative and data- and policy-driven perspective to implementing a holistic strategic plan that includes linking diaspora populations along with domestic and foreign investors. Jennifer’s work across the government, private sector, and multilateral organizations such as the United Nations Capital Development Fund and United Nations Human Settlements Programme will advance countries’ economic growth objectives. Global Financial Innovations Limited is an independent, privately owned merchant banking firm established in 2004 to focus on Africa. As experienced merchant bankers in Africa our services include debt and equity capital formation (including Private Equity); Mergers and Acquisitions (M&A); asset management; business analysis and research; and corporate finance, comprising: correspondent banking; treasury management; bank management; trade finance and agri-finance. GFI is are committed to long term relationships with clients. We work in the public and private sectors to deliver leading edge “cross-border” and “in country” merchant banking services to our clients. GFI SPECIALIZES IN Emerging and Frontier Market transactions: capital market, corporate, project and trade finance, agri- and commodity finance, restructuring and treasury services. It raises funding from its own investor base and through its network with major broker dealers, pension funds, insurance companies, banks, DFIs, corporations and parastatals. GFI’S ADVANTAGE is its experienced team and extensive international network which bridge the gap between the objectives of regional and international financial institutions and its client’s requirements. GFI HAS CREATED the optimum environment from which to originate and structure innovative solutions for its clients’ requirements. GFI’S EXECUTIVE TEAM has over 250 man years in Emerging and Frontier Market transactions. GFI HAS A PROVEN TRACK RECORD IN BROKERAGE AND PLACEMENT OF HIGH YIELD SOVEREIGN AND CORPORATE DEBT. GFI HAS A PROVEN TRACK RECORD IN SETTLING DISTRESSED AND DEFAULTED DEBT. GFI’S TEAM has contributed to the development of Emerging and Frontier Markets’ Capital Markets. GFI’S EXECUTIVES HAVE CONDUCTED TRANSACTIONS with a value of circa US$ 16 bn, the greater majority in Emerging and Frontier Markets. GFI’S TEAM MEMBERS HAVE in depth experience of managing large treasury operations One team member worked for the Reserve Bank of South Africa where the annual transaction volumes exceeded USD 1.5 trillion. Another team member managed an in-house fund for a large European bank and achieved a return of 17%. Alan Bowser, an attorney in private practice, is former United States Deputy Assistant Secretary of Commerce for Basic Industries. In this capacity, he had senior responsibility for promotion of exports of U.S. companies in the "basic" American industries, including energy and power, iron and steel, wood and paper, chemicals, industrial machinery, motor vehicles, and other important economic sectors. He has extensive professional experience as an economist and international policy analyst in the public and private sectors, as well as extensive experience in privatization, industry restructuring, overseas market development, and regulatory and legal reform. Working with the US private sector, Mr. Bowser has provided essential support for U.S. power generation projects in China, India, Mexico, and Brazil; international mass transit projects in Southeast Asia; and agribusiness projects in Russia and Kazakhstan. Mr. Bowser has served as a senior consultant to the World Bank Group, and as an international economist in the U.S. Department of the Treasury and the Executive Office of the President. He is a former Director of the Petroleum Finance Company, Ltd., in Washington, D.C. Mr. Bowser holds degrees from Princeton University, the Johns Hopkins University (SAIS), and the Georgetown University Law Center.